The 2017 PDP convention promises to be quite a show, with intrigues, drama and loads of surprises being expected. Every aspirant to the throne of National Chairman is claiming to be the best man for the job and no one seems ready to step down. 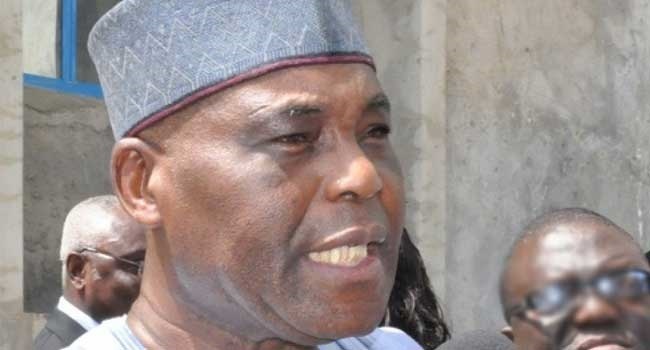 Founder of Daar Communications, Raymond Dokpesi, insists has been on a tour of Nigeria's South-South states seeking delegates support. He visited Governor Ben Ayade of Cross River in Government House, Calabar, on Monday. He said he believes he has the experience, capability and connection to re-position the party to its position before the 2015 general elections. “There are eight of us in the chairmanship race, six from the South- West and two of us from the South-South. “We need to re-brand the PDP. In re-branding the party, I stand tall because I have what it takes to rebuild the party. “I have the media, the connection that can assist in remodeling, build bridge across the country and rebuild the party,” he said. Dokpesi, who claimed that he was not among those who led the PDP to failure in 2015, said he was ready to correct the ills recorded. Receiving the aspirant, Ayade expressed hope that Saturday's convention would be successful. The governor described Dokpesi as a man of character, dignity and honour, who has done so much for the party and the country.